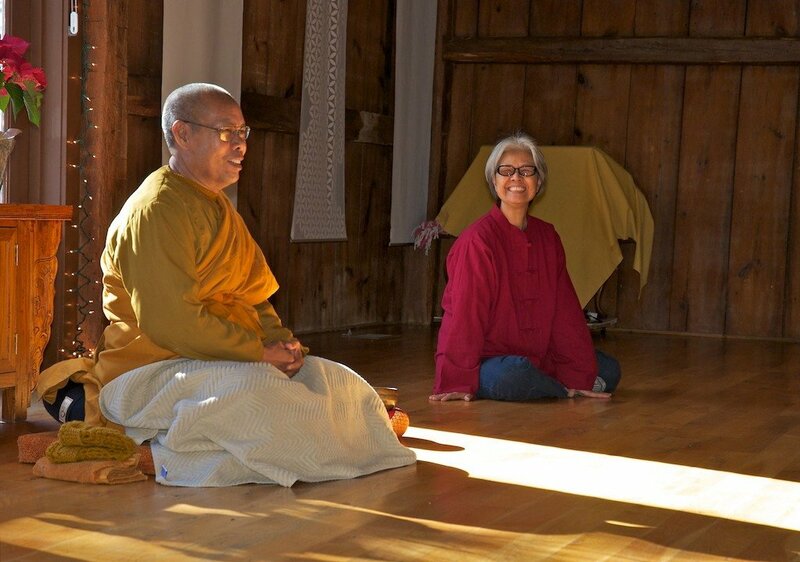 There are two Centers for Mindfulness & Insight Meditation—one in Wenham, Massachusetts, and one in Redding, Connecticut. Weekly meditation classes are offered as well as periodic workshops, one-day and weekend nonresidential retreats, and other activities. Visit this site for more information about the Massachusetts Center’s offerings. This is where our monastic teachers, Achan Da, Achan Niphen, and Achan Mongkol, are generally stationed. In addition to regular weekly meditation classes, the Redding Center also offers monthly one-day retreats, periodic weekend retreats, and an annual five-day retreat. Most retreat attendees do so on a nonresidential basis, but there are a few beds available that can be reserved by retreatants who are traveling from a distance. Visit this site to learn more about upcoming offerings in Connecticut.